While basic dyes and pigments existed thousands of years ago for decorating with, purple was a relatively rare color until the late Medieval period. This meant that flowers featuring that rich combination of red and blue were prized and given plenty of significance, no matter the culture. If you’re planning to use purple as a wedding color or want to make the perfect arrangement as a gift, look further into the symbolism of these eight popular flowers in your favorite color. 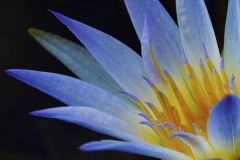 The Lotus flower has been a potent religious symbol in Eastern cultures for centuries. 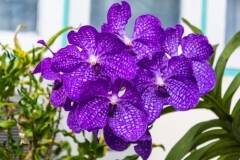 While other colors represent the Buddha himself or important tenets of that faith, the purple variety is tied to mysticism and inner journeys. It’s the perfect flower for encouraging someone’s creativity. Of course, it’s still tied to the eight fold path to enlightenment because of its eight petals. 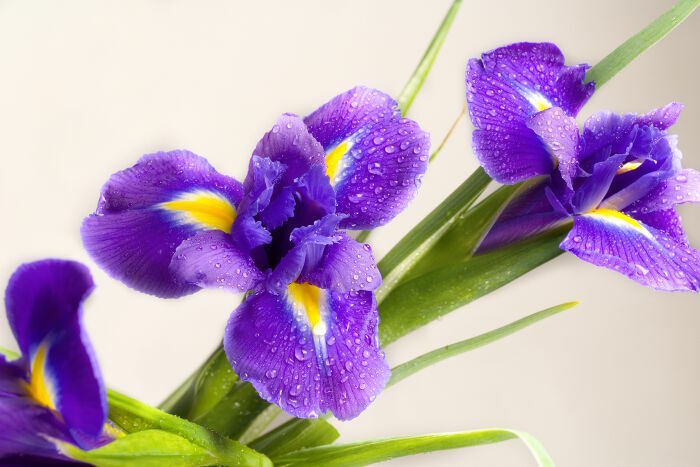 There are dozens of true and false lilies with purple petals, but they all share some basic meanings. Lilies were a symbol of royalty, as seen with the lily-inspired fleur de lis symbol. 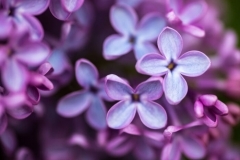 Purple was also a color restricted only to the royal families for many centuries due to the rarity of the dye. 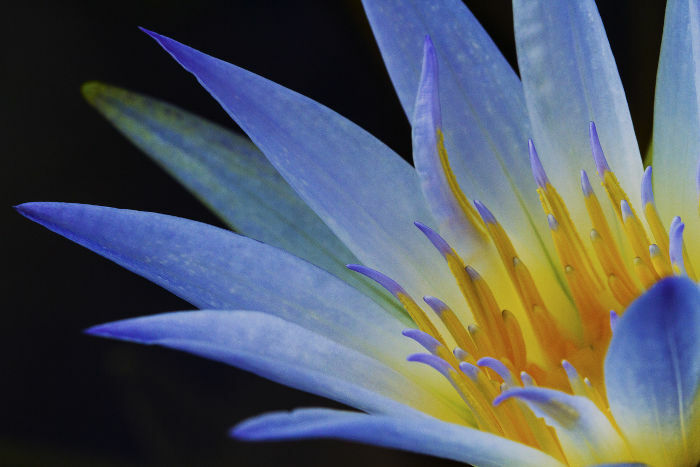 Put the two meanings together and the lily is the perfect symbol of grace, royal bearing, and dignity. 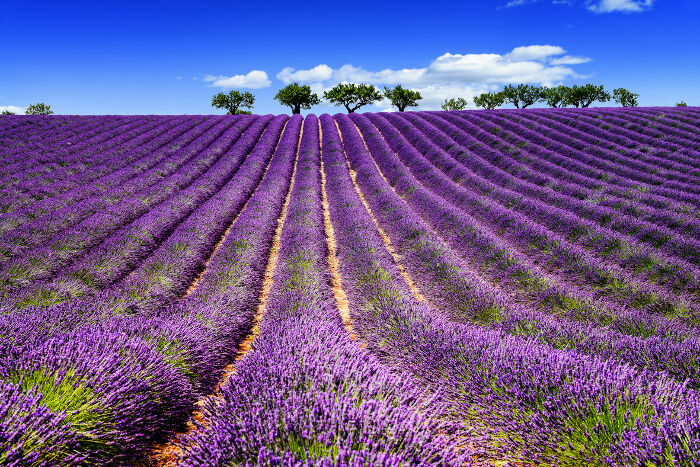 There are lightly lavender and mostly pink roses in nature, but the deep purple bloom only comes from the use of dye. These colored roses are used for celebrating the 25 year wedding anniversary of a couple. Lighter and more natural varieties of the purple rose symbolize calmness, achievement, and living your dream. 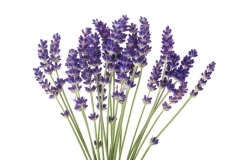 You can sniff a lavender scented candle to calm yourself, so it’s no wonder that Victorian language of flowers experts considered this plant a symbol of calmness and dignity. 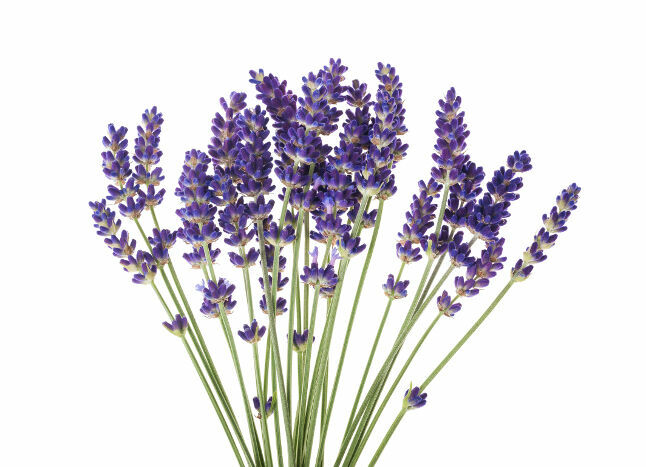 The light purple blossoms are perfect for inspiring serenity, whether you’re giving the gift of a fresh bundle of sprigs or dried buds for using in tea and baked goods. Aside from making a tasty herbal tea that is refreshing in the summer, the purple hibiscus flower comes with an air of mystery and delicate beauty. Also known as the Rose of Sharon, the short lived blossoms represent the fleeting nature of love and life. Try adding a few to a bouquet for a student to inspire them to learn even more. Do you ever enjoy dishes flavored with the delicate taste of saffron? 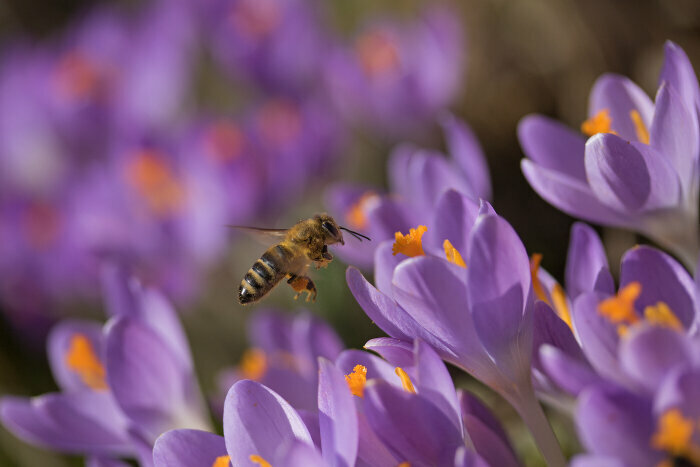 That rare yellow spice comes from the luminous purple flowers known as crocuses. 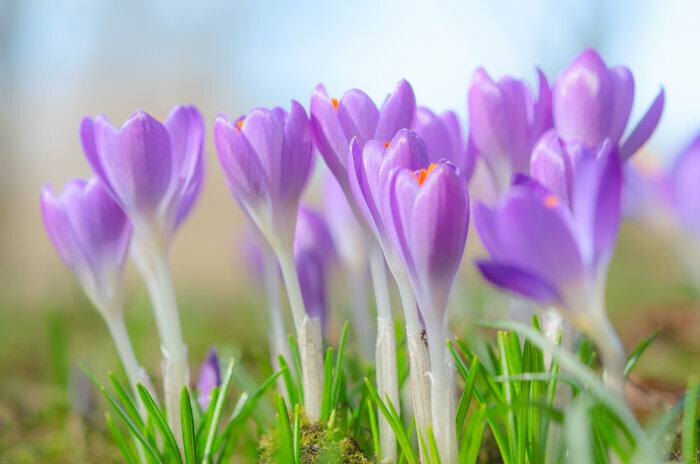 As one of the first flowers to emerge in spring, it’s a symbol of rebirth and rising again from the ashes of failure. Add a few to your yard to inspire yourself after a long and dreary winter without color. Some of the most common spots of purple you’ll spot along the roadside or in the lawn include the violets and violas. All the varieties of these plants range from white to dark purple, and they’re inspiring symbols of rising above challenges. Violets thrive in the toughest conditions and bring dignity and power to humble places. Finally, don’t forget about the daisy. Nothing else is quite as cheerful as a bundle of pink, yellow, and purple daisies mixed together with a message of happiness and uplifting power. If a friend is experiencing a hard day, even a single purple daisy sends a clear sign that you’re thinking of the person.